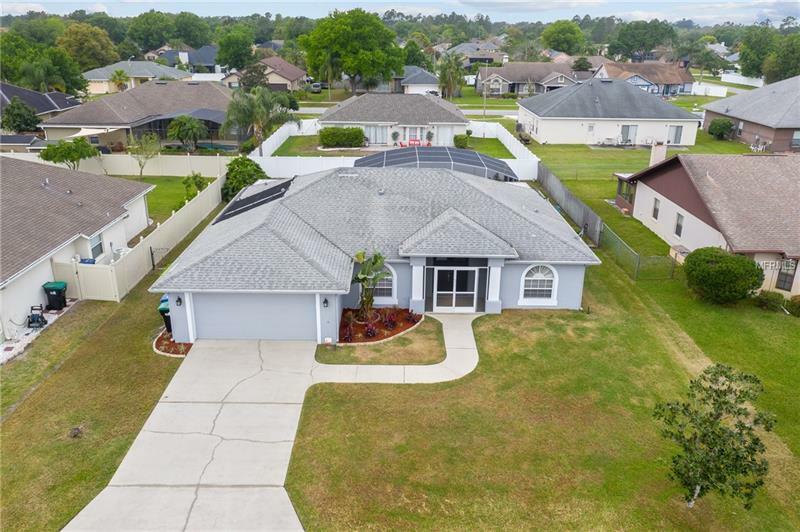 This beautiful pool home is located in the Wedgefield Golf Community. The kitchen has plenty of storage with solid wood cabinets, tons of counter space, and stainless steel appliances that overlooks the living room. There is a separate laundry room with solid wood floor to ceiling cabinetry. This home boasts a large covered screened patio overlooking the pool. The salt water pool pumps are solar powered for a lower utility bill. The master and one of the spare bedrooms has sliding glass doors with direct access to and views of the patio and pool areas. The home is situated on 1/4 acre lot, with an attached two car garage and is close to the park, community baseball fields, and convenient to shopping. The location can't be beat! You have to see it to appreciate the value.